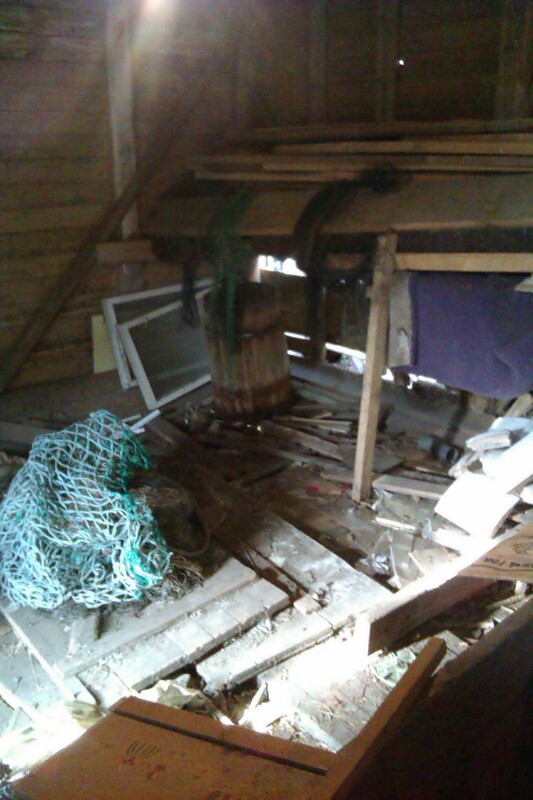 A shame it is in such bad condition! 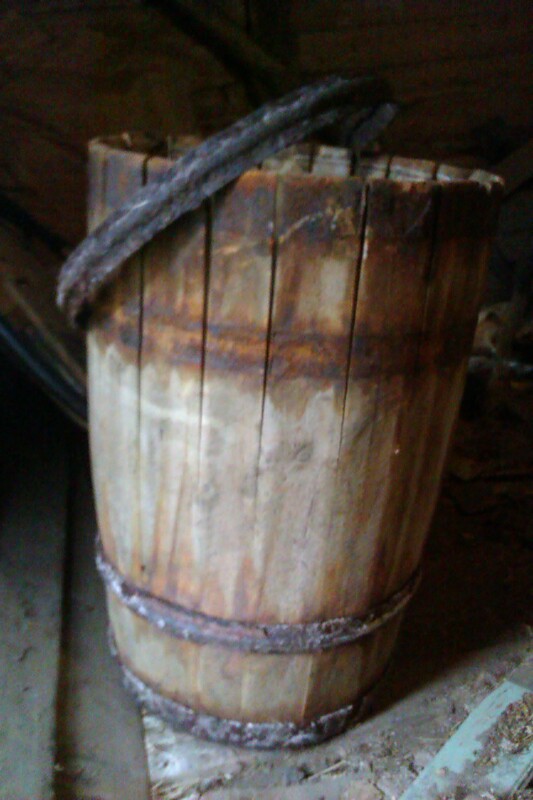 These barrels where used for herring. There is definitely a lack of floor at some places… I’ve swept up two binbags of dust today and put some boards back, not to fall through and break a leg or two. I needed to rest my bones and spent the weekend gardening and participating in WorldWidePinholePhotographyDay. 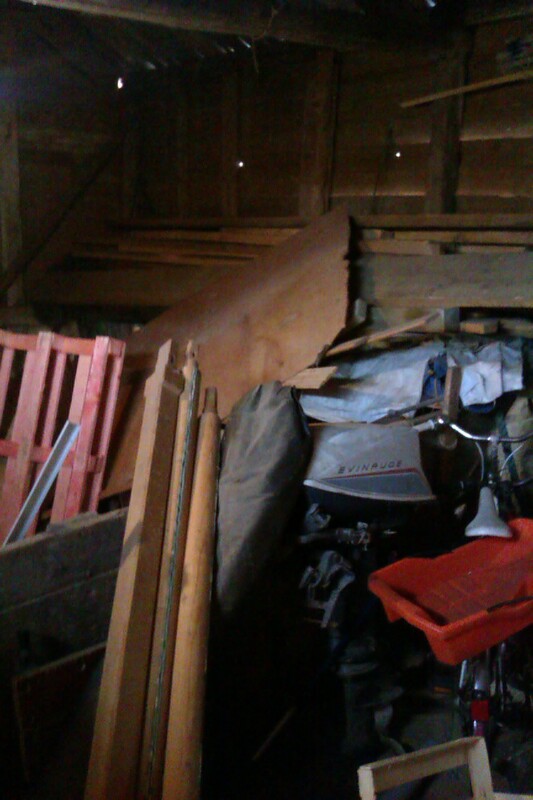 “Vedboa” is where my grandparents kept their wood, not as old as the barn but in worse shape. 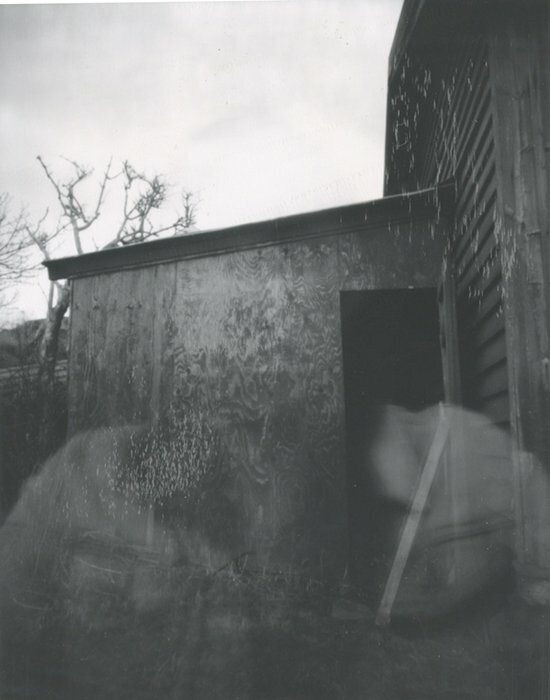 The picture is a polaroid P55 taken with my wooden pinhole camera. 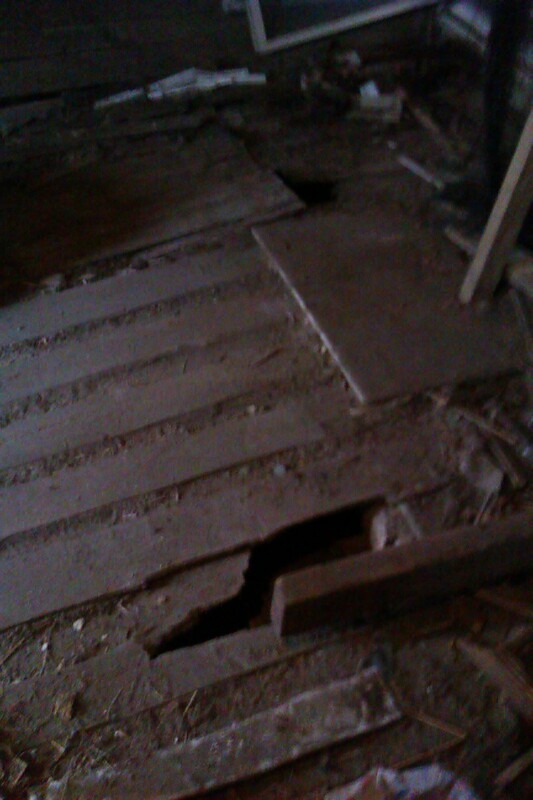 Surprise of the day, there is a floor! I really didn’t think there was. I thought it was all cardboard and wood layered on the ground. 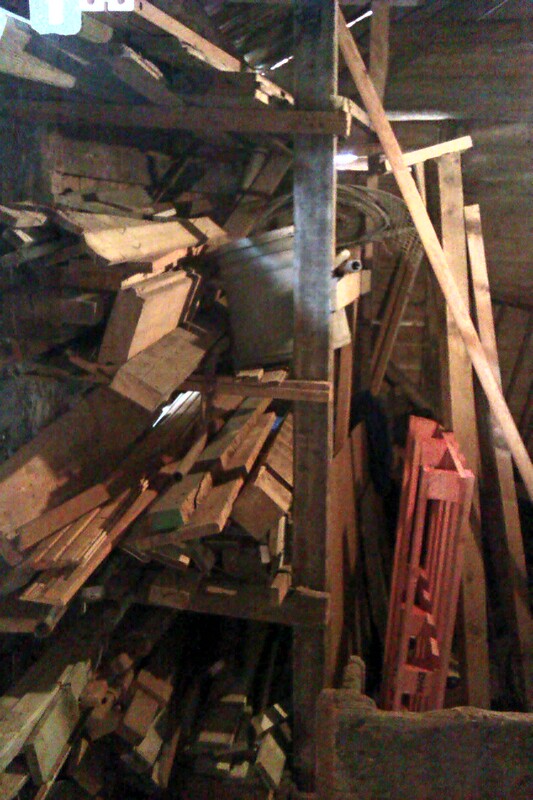 Today I moved all the rest of the wood and cut down everything else that wasn’t part of the original barn. The container is filling up! 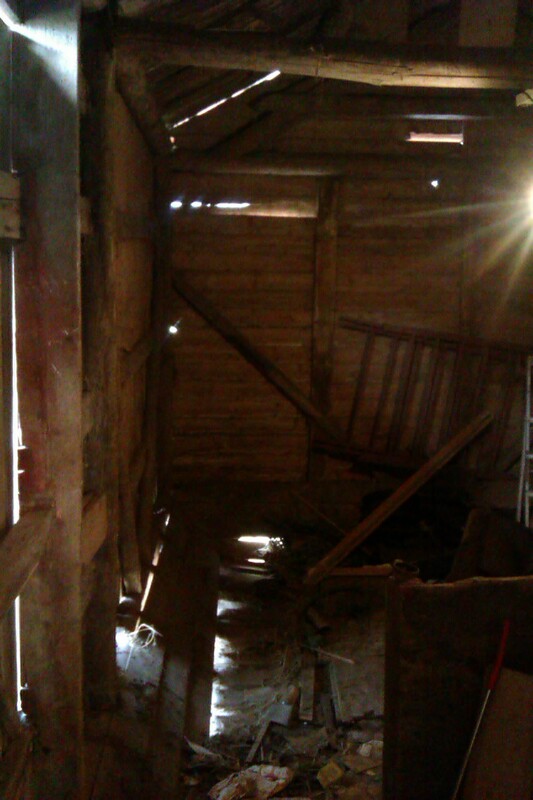 This is how the left side inside the barn looked like. 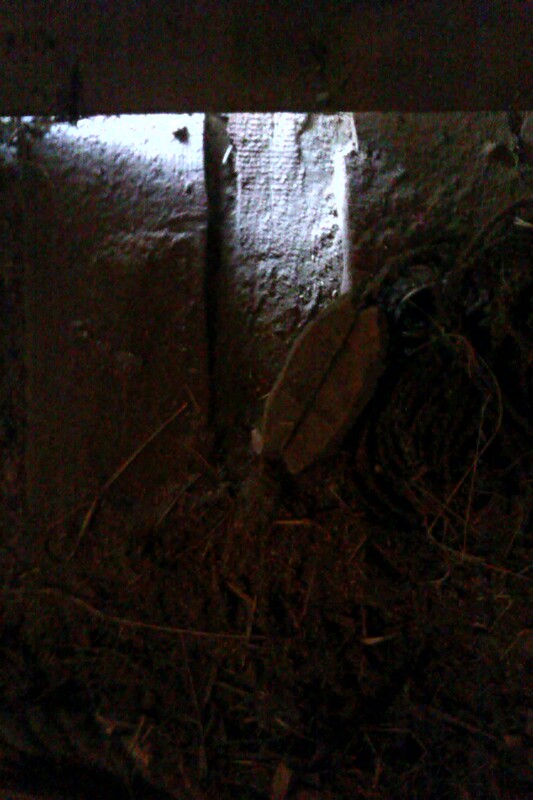 I removed most of the wood yesterday, same time brushing all dust and spiderwebs off. Rotten wood I chucked in the container outside and the rest set aside in one pile for “later hammering out nails” and one with no nails.